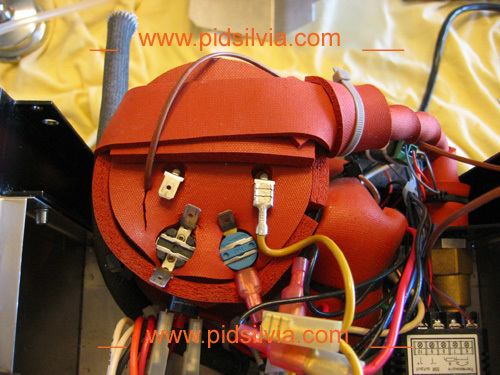 Boiler Insulation for Rancilio Silvia should only be used with PID control. 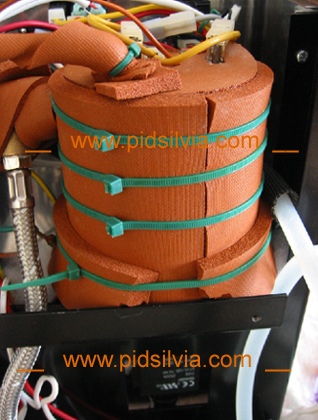 Use boiler insulation and stop using Silvia as your house heater. Keep the heat where it’s doing the most good... in the boiler! 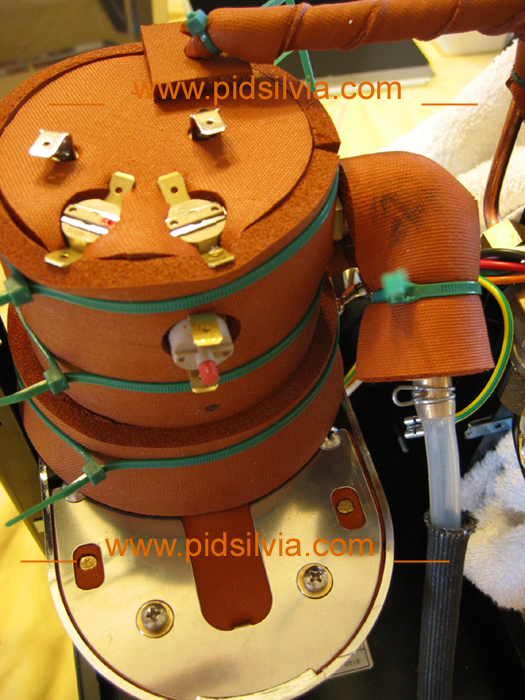 To maintain control on brewing temperature, it is recommended using PID control when installing boiler insulation. If you are looking for temperature consistency between the grouphead and the temperature of the delivered boiler water, you should strive to maintain stability of the machine’s environmental temperature. We do know that the temperature around the machine fluctuates, for example, between day and night, summer and winter, cold and warm rooms. A reasonable solution to reduce these changes is to insulate the boiler and the grouphead from the surrounding temperature. Cups and glass on top will be at lower temperature and will take longer time to warp-up, but have Silvia on a timer and set "ON" 45 -50 minutes before. 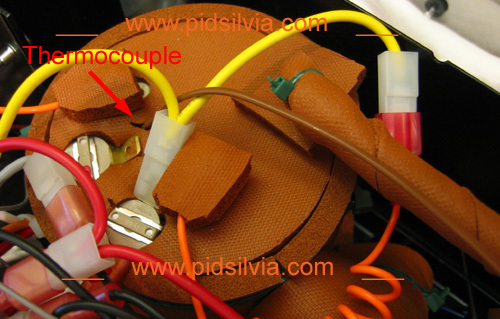 With insulation, Silvia can stay ON for a longer time with less effort. 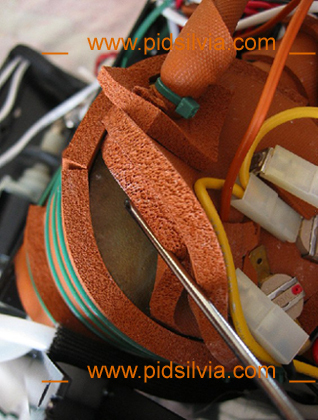 The Silicone Foam material is very safe and clean to work with. Insulation made from closed cell silicone foam, is the best stuff you can find. Espresso machines are not meant to be a kitchen heater. 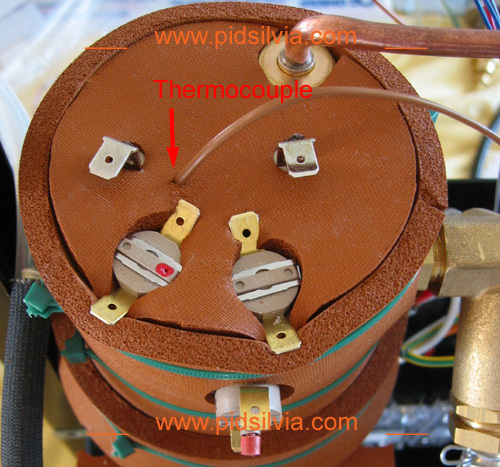 In terms of thermal values,( not physical location ) insulation will bring the thermocouple reading closer to the center of the heating element. or closer to the actual temperature inside the boiler. so temperature reading at SV. will rise, meaning SV. need to be higher. ( depend on your previous & existing heat loss and efficiency. see footnote A. With properly insulated boiler you may need to adjust temperature up or down, depend on the location of the sensor, your previous & existing heat loss and efficiency. I recommend letting brewing results and taste dictate temperature. see footnote A. 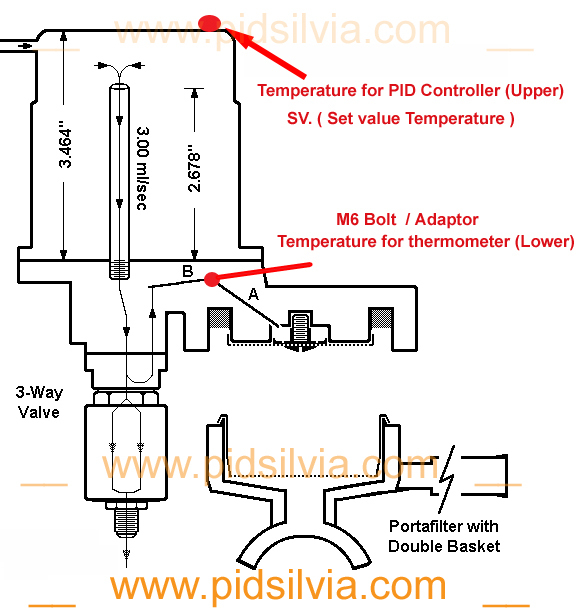 Note: For any Silvia with any set-up, portafilter & basket. must be connected at all times prior to brewing, to maintain good temperature for shower screen etc. For old boiler style check this page. Pre-Cut Insulation for old style boiler. During brewing, from start to finish, the temperature at the screen and within the coffee puck is not constant. Therefore, technically I don’t think it is 100% correct to use a single number as the ideal brewing temperature. What really counts is the average temperature and time that the grounds are exposed to the water, so I strongly recommend letting brewing results and taste to dictate the set value temperature of the boiler. 12" x 12" uncut Insulation kit - No template. 12" x 12" uncut Insulation kit + template. 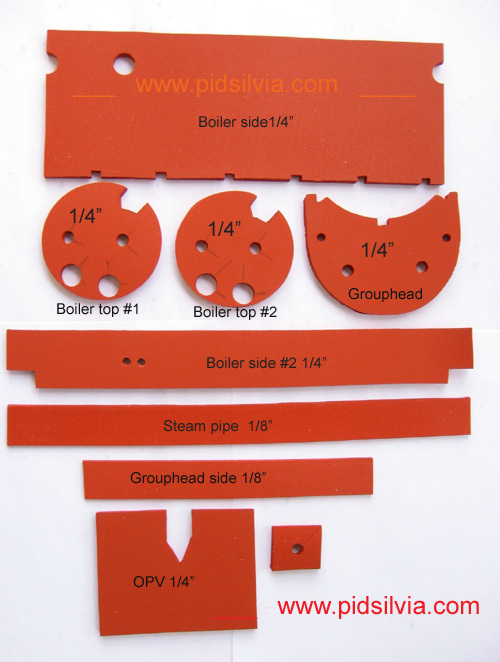 Pre-Cut Insulation kit for - Old style boiler. Check this page to see what boiler you have.